There aren’t many repairs in your home that likely cause more alarm than that of plumbing repairs. 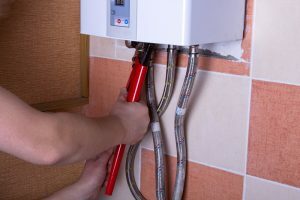 With most of your pipes hidden behind the walls or running beneath your property, the smallest problem can quickly turn into a huge emergency, particularly if you don’t notice signs of a problem right away. In the past, when this hidden portion of your plumbing needed relining, repair, or replacement, if often meant plumbers had to uncover the entire length of the pipe in order to repair leaks or clogs. Fortunately, there has been advancements in the world of plumbing that has made these jobs far easier for professional plumbers. Namely, trenchless pipelining. Posted in Plumbing | Comments Off on When Is Trenchless Pipelining Necessary? The sewer line of your plumbing system is the main line that removes wastewater from your home and move it into the civic sewer system hygienically away from your property. 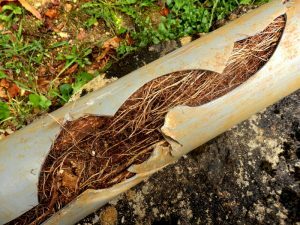 Sewer lines are typically buried beneath your yard, which keeps them safe from damage that can come from weather-related wear and tear or animals. Unfortunately, though, that doesn’t mean they’re immune to all problems. After all, your landscaping could grow roots that infiltrate the sewer pipe. Even a shift in the ground can cause instability and damage. So no, we don’t always discourage DIY-jobs. But when it comes to your plumbing, it can be unsafe or further damaging to try to handle all problems on your own. You could even leave yourself more susceptible to problems in the future. 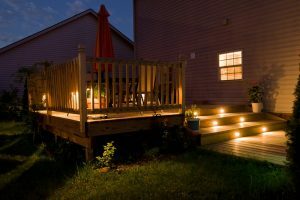 There are 2 problems in particular we really encourage you to call in a pro for. Where Is That Water Heater Leak Coming From? Imagine this scenario: You jump into what should be a hot shower to discover that either there is no hot water, or the consistency of the heat is off. You check your water heater to discover that it’s sprung a leak. Water is pooling up on the floor, and it’s time to take action! What do you do next? 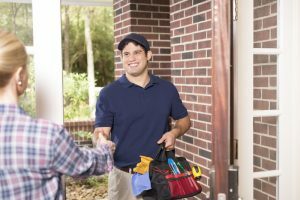 In most cases, there is nothing you can do on your own, you will need a professional plumber with training and experience with all types of water heaters in Stuart, FL. However, we can offer some advice on what to look for to determine where the leak is coming from, so you won’t have to waste any time when a plumber gets to your home. Posted in Water Heaters | Comments Off on Where Is That Water Heater Leak Coming From? Many of the plumbing blog posts you read today tell you what to do when you have a plumbing problem and when to call on a professional. This advice should be followed, but we’re going to take a little different approach on the topic today. We want to tell you what not to do when it comes to your plumbing. Many homeowners unknowingly put their pipes at risk doing seemingly minor things, and that’s what we are going to cover today. Read on! West Palm Beach, FL, 1/21/19—Admiral Plumbing Services, LLC is proud to announce that it has earned the home service industry’s coveted Angie’s List Super Service Award (SSA). This award honors service professionals who have maintained exceptional service ratings and reviews on Angie’s List in 2018. Admiral Plumbing Services, LLC has been listed on Angie’s List since 2014, and we are very proud to have received this honor again for 2018. 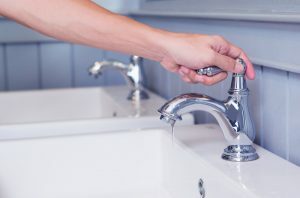 Our job here at Admiral Plumbing Services, LLC is to make your plumbing system and your water-using appliances and fixtures as efficient and durable as possible. We do this by working directly with you and listening to your needs. Contact our team today to schedule your plumbing services in the West Palm Beach, FL area. We pride our company on nice people and super service! 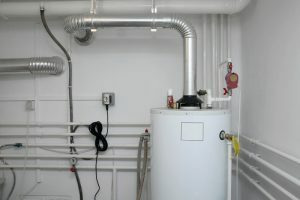 When most people hear the term water heater, they envision a huge storage tank with water in it, kept in the garage or a utility closet in the home. This is, after all, the most common type of water heater found in U.S. homes. But many people have chosen to go another route and have installed a newer, often more efficient, model of water heater—the tankless unit. Perhaps you are one of these homeowners. We definitely encourage our customers to do their research and see what type of water heater is most efficient for their homes. We also want to stress though, while there are many benefits to going tankless, they are not immune to problems. This is why it’s essential to schedule regular maintenance for tankless water heaters in Boca Raton, FL. Could Your Bathroom Plumbing Use an Upgrade? 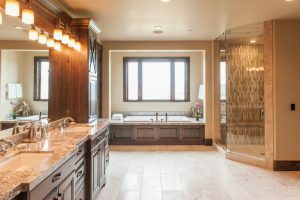 Chances are, when you think of remodeling your home, your bathrooms probably don’t come as the first priority. But the right bathroom renovation to retrofit older fixtures, plumbing, and even your surfaces can have a number of benefits. It improves your home’s value, for one. Also, it helps make the space easier to use and more visually appealing for you in the meantime. Plus, upgrading to newer plumbing can help its efficiency and prevent a plumbing emergency later on (for instance, if you need repiping, which we’ll get to below). Of course, if you are planning a job of this caliber, it’s very important that you contact a professional plumber in Port St. Lucie, FL to ensure no mistakes are made. In the meantime, we’ve shared with you below some of our ideas for bathroom upgrades you might benefit from. Posted in Bathroom Plumbing | Comments Off on Could Your Bathroom Plumbing Use an Upgrade? No, unfortunately this is not the beginning of a funny joke. It’s an indication of a problem with your water heater, though, if that’s where it’s coming from. A tank water heater system may occasionally make this noise, and while sometimes it may be the symptom of something fairly benign that just requires a “quick” fix, other times it can be more serious. The fact is though, no sound coming from your water heater or any other home appliance should be ignored. 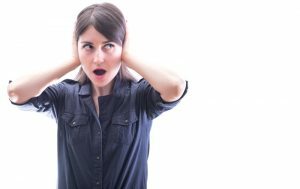 A knocking noise very often indicates a problem that can only grow larger the longer you neglect it. Keep reading to learn about a possible reason for this sound and what you should do about it.